Woods Davy 1997. Cedars Sinai Medical Center, Los Angeles. 20'8" x 5'8" x 6', steel, granite. 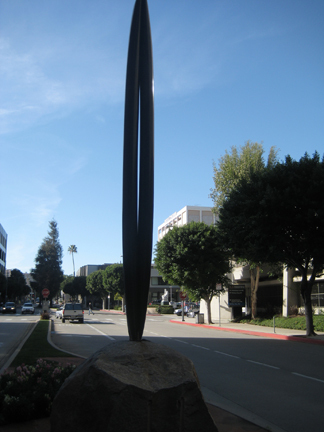 This sculpture made possible by and dedicated to Marcia Weisman.